Arguably one of the worlds most exciting chess players of all time, Grandmaster Mikhail Tal will always be remembered as an attacking genius. The former World Champion, who was nicknamed The Magician from Riga for his tactical prowess, has insprired many a chess player with his daring and electrifying style of play. With this in mind, Ginger GM in association with Dark Phoenix Media Ltd. has created its first interactive DVD based on this chess legend. 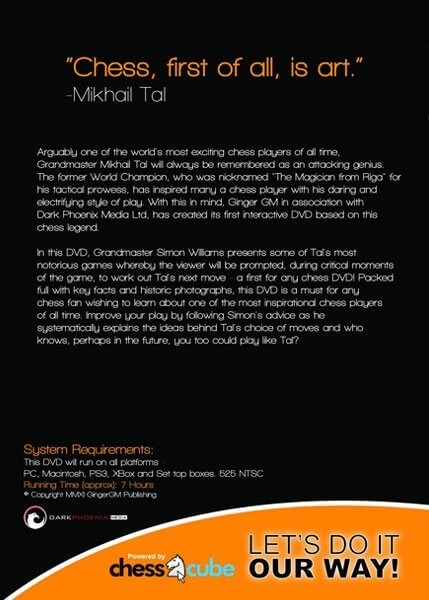 In this DVD, Grandmaster Simon Williams presents some of Tals most notorious games whereby the viewer will be prompted during critical moments of the game to work out Tals next move — a first for any chess DVD! Packed full with key facts and historic photographs, the DVD is a must for any chess fan wishing to learn about one of the most inspired chess players of all time. 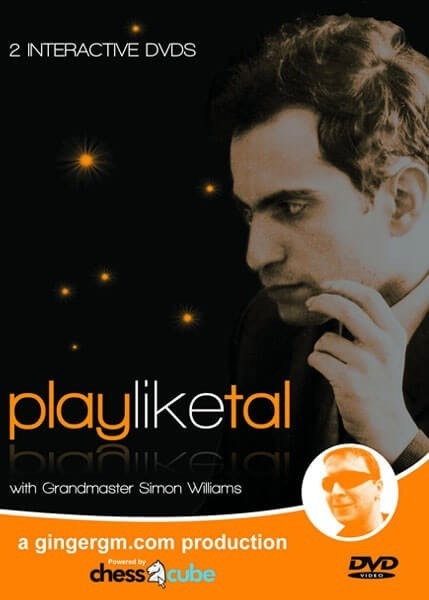 Improve your play by following Simons advice as he systematically explains the ideas behind Tals choice of moves and who knows, perhaps in the future, you too could Play Like Tal?